Here are five wedding planners talking about their grandest wedding and the challenges they had to face to make it happen. Planning a grand wedding is no less than fine art. The only difference from the conventional definition being the scale of complexity involved. From minor details to gigantic sets, wedding planners cruise the whole spectrum of human possibility to meet client demands and to make their work stand out. “It always takes two to tango, the client’s inputs and trust enabled us to bridge gaps between Momentum and the family to function as one unit”, says Aarti Mattoo, Founder & Chairperson, Momentum Group. 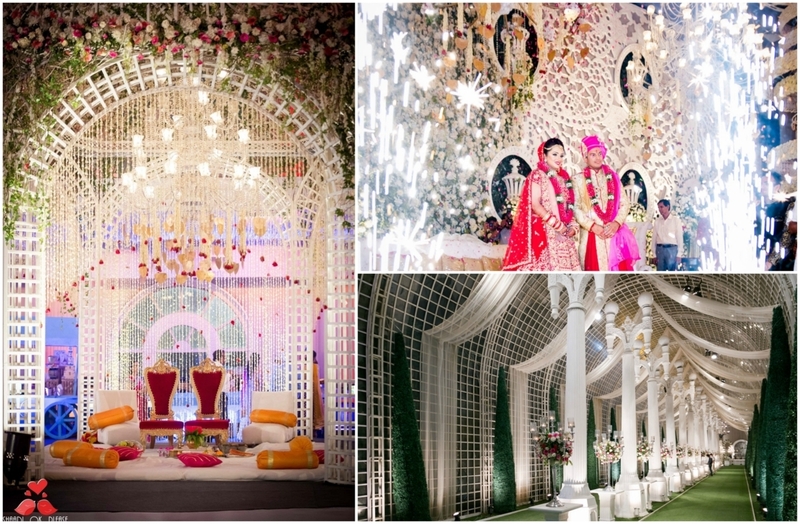 Talking about the detailed strategy that made this wedding extra special, Mattoo adds, “The master plan was to invigorate a sense of renewed ‘wow’ experiences by giving designs a new definition. With a mindset that the usual grandiose is now passé, it was time to up the game. The master plan was also to keep up with time as two massive setups needed to be executed within a span of just two days, this also involved rigging & de-rigging of the support structures as per the design and repeating the process again as per the blueprint of the next function. Use of tech like LED screens and panels with MI bars for the sangeet function. A great line-up of celebrity performers and hosts included names like Jaqueline Fernandez, Ranveer Singh, King Milkha Singh, Manish Paul and Sugandha Mishra. A 3D cake projection mapping the life story of the couple. usage of on-stage SFX, personalized balloon drops over the venue & cold pyros. The hashtag - #vivEKpal adorned the skyline of Worli sea face for the evening. Entertainment –the ceremony was articulately divided into three phases- Punjabi Dhol Troop, the baarat and a takeover by Badshah after which the live band took over. The Groom’s entry was a Bahubali themed entrance accompanied by 60 dancers wearing customized laser cut & 3D printed costumes and accessories crafted exclusively for the act. Hiral Kamani and band did special chants for the Vedic pheras ceremony. A huge number of dancers performed the Five -senses vidhi depicting the meaning of each phera throughout the ceremony. The challenges faced were the rains during the baraat, the probability of which was foreseen at the planning stage itself and a rain-proof platform was constructed. Biggest part of the obstacle to overcome was the race against time to get the huge setups ready & management of a crowd of about 5000. This involved taking care of the movement, seating, housekeeping and clearing the pathways for special entry acts. It was tackled through effective time management and keeping the planning process simple yet detailed. According to Gandhi, wedding on a cruise has its limitations, to balance the opulent expectation basis what people are used to seeing on land vs the possibilities on high seas with limited resources and time. “This one we took up against all odds and came out smiling on both scores – management and décor design”, she explains. Each destination brings with it a host of challenges, But the Voyager of the Seas, with 700 people to manage, took the cake. The whole process of travel & hospitality was customized to each guest via the wedding app. Allowing them to interact with the hospitality team real time for any customizations or requirements that were specific to them and their families. The high profile guest list included Industry bigwigs ranging from Real Estate to Pharmaceuticals. Guests walked into a champagne brunch as the cruise liner sailed away from the Singapore skyline. The next two days of the wedding saw a host of events like the Gatsby sangeet, a surreal wedding ceremony set amidst pastel hues, a sufi evening and a sundowner pool party to close the 3-day extravaganza, not to mention the after parties that followed each official event. The 72 hours of non- stop celebrations witnessed the likes of Raftaar, the legendary Pakistani Sufi Duo of Rizwan and Muazzam (Nephews of Late Singer NusratFateh Ali Khan), DJ Bhavuk, Doorbeen, International percussionist, Saxophonists, Dancers, etc. “Together, the Weddingline team spread across Singapore, Malaysia and India, created smiles across all ages on the ship - smiles we call Weddingline Smiles”, concludes Gandhi. For Vijay Arora, MD, Touchwood Entertainment Ltd, “It is now an era of experience. Today a wedding is not just about Food, Décor & Dance but also about an experience how you and your guest feel it. You don’t carry back the food but the experience how it was served, displayed, and communicated to taste buds". He also lays emphasis on including unique experience in terms of venue and décor. “Just imagine you walking in the streets of Italy or the white snowfall around you; with the lush green tulips of Kashmir, it is all about an experience”, explains Arora. From the distribution of invites to the selection of wedding favors, trousseau designers everything was customized. The baraat ceremony included the royal baraat procession with 21 pc band, lights, DJ, drinks & Babulgaon band. The final ceremony was held at Devam which was embellished so regal and royal. 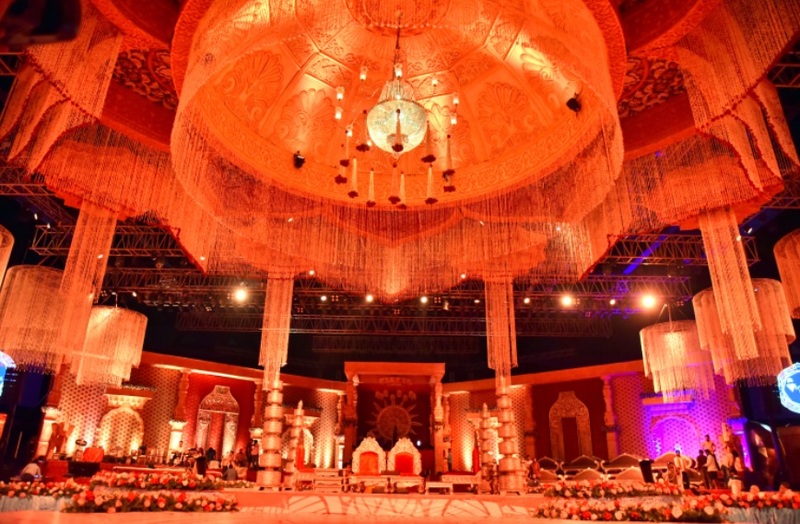 We believe that Delhi is full of grandeur and extravaganza when it comes to weddings. That’s why and how we touched our ‘ChalloDilli’ initiative, which was brought to life with this destination wedding in a city like Delhi. “Nothing is more important than giving a sense of satisfaction to your client.This is what we considered as our greatest achievement. There was lot of appreciation for the unique concepts used and the hospitality. More than anything else, the guests carried back an experience they’ll remember for a lifetime. This destination wedding in Delhi was everything on a platter, as it is rightly said that marriages are settled in heaven but celebrated on Earth”, added Arora. Given a larger than life existing space (about 193 feet long and 100 feet wide) we tried to build the most extravagant experience for this wedding. Create four moods represented by four colours – red, pink, orange and white, which eventually culminated into the 4 seasons – summer, spring autumn and winter. To make this idea come to life, 360 degree projections specially created for all the seasons were played on LED walls at a height of 20 feet, a ceiling full of floral installations, chandeliers at different heights ranging from 13 feet to 19 feet. The change and play on lights added to the transition from one season to another – as the projections changed, so did the lights. The most lavish and beautiful wedding was the one held at Hotel Palazzo Versace, in the City of Gold, Dubai which had an attendance of over 350 guests. It most definitely was one of the most picturesque locations, grand and unforgettable in all ways. The wedding was a massive celebration and Wedniksha organised and curated every single event like never before. The conceptualization and execution was end to end in every aspect, be it the fancy décor, the heavy dose of entertainment or the smooth hospitality and logistics. The guests were welcomed with a warm dinner at the Lake View Restaurant, Dubai Creek Golf & Yacht Club. The restaurant was transformed into an enchanting venue creating a dreamy ambience. The night was made memorable by performances of talented set of artists, such as Clinton Cerejo, Jonita Gandhi, Bianca Gomes and Ash King. On the very next day for the Sangeet night, we conceptualized a show with a Bedouin artist as the narrator of a love tale composing of Arabic acts followed by performers such as belly dancers, tannoura dancers, fire and pixel poi artists. The last night of the celebrations, being the Reception, was provided a European touch with alluring chandeliers and colourful centre pieces. The finale of the celebration was like no other, as guests made their way to the Capri Pool of Hotel Palazzo Versace for the reception. The evening had a magical European touch with beautiful floral chandeliers and centre pieces. 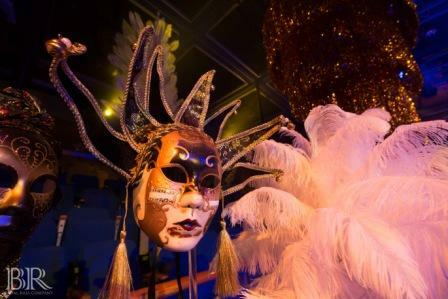 Attractive photo booths of mirrored magical wings, mirror man and a gold cycle man were set up which captivated all the guests. This night ended with a magnetic performance by the splendid duo Vishal and Shekhar.